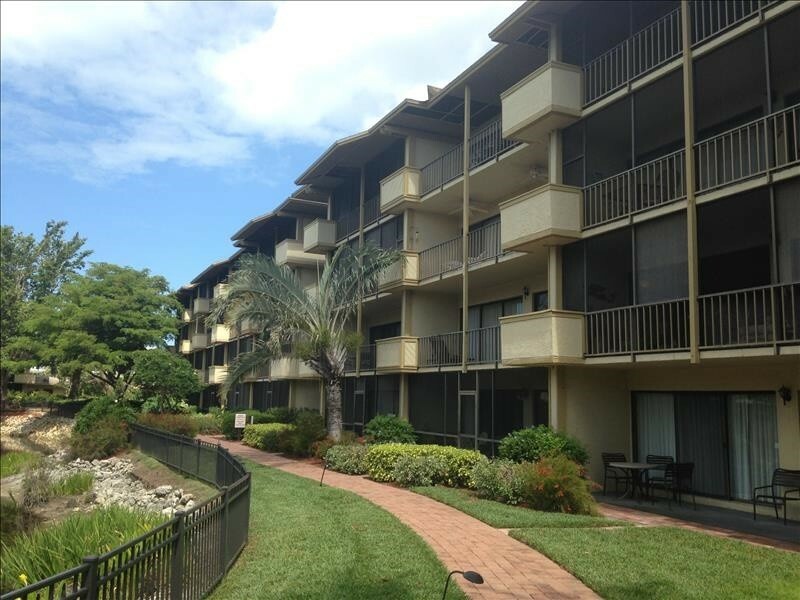 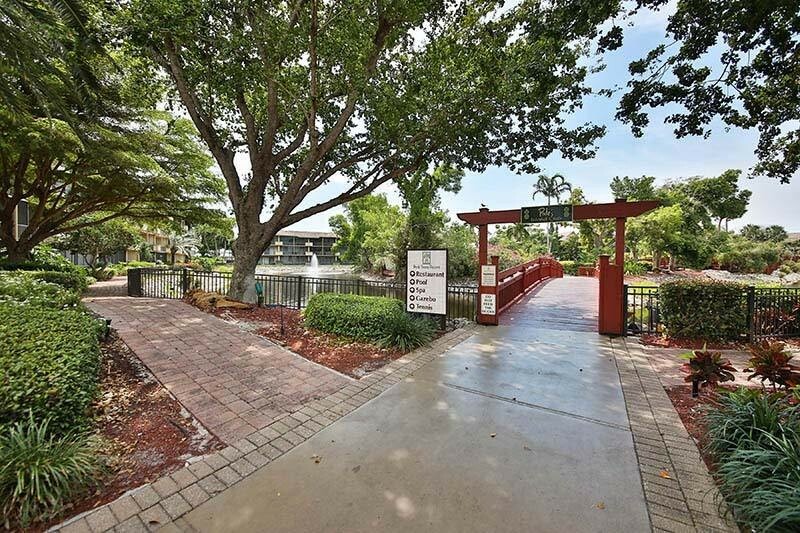 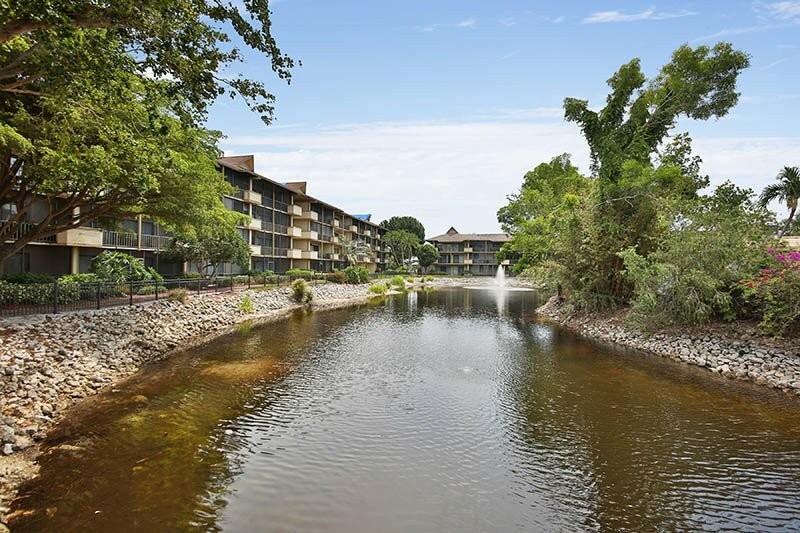 Charming Resort Living - Condominium at Parkshore Resort. 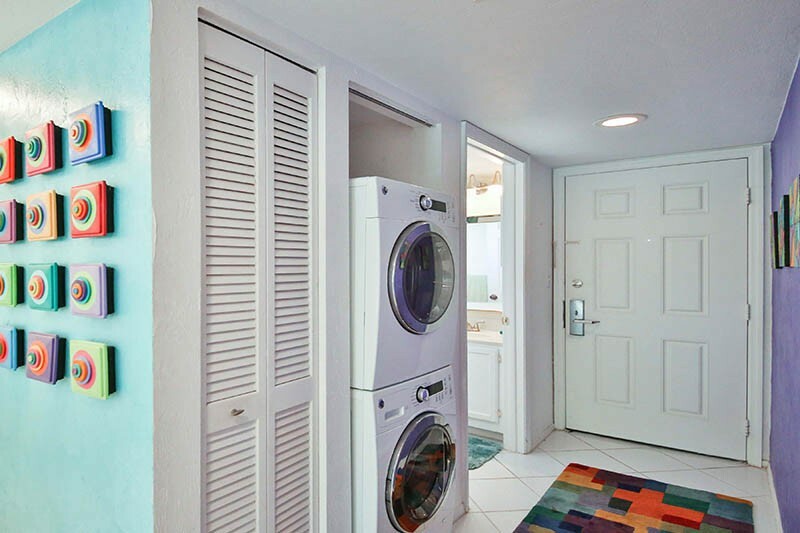 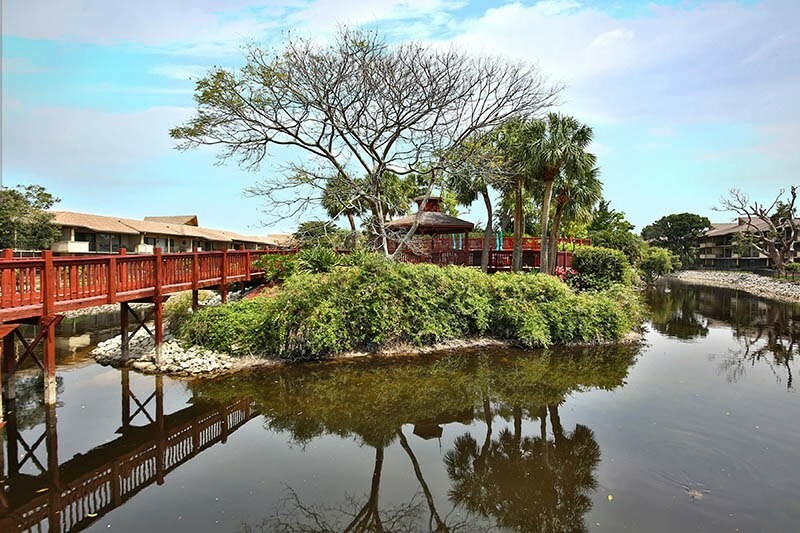 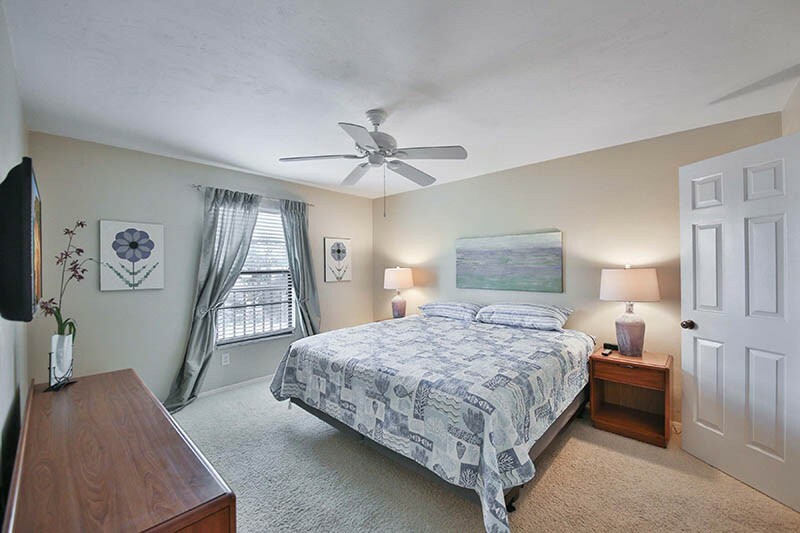 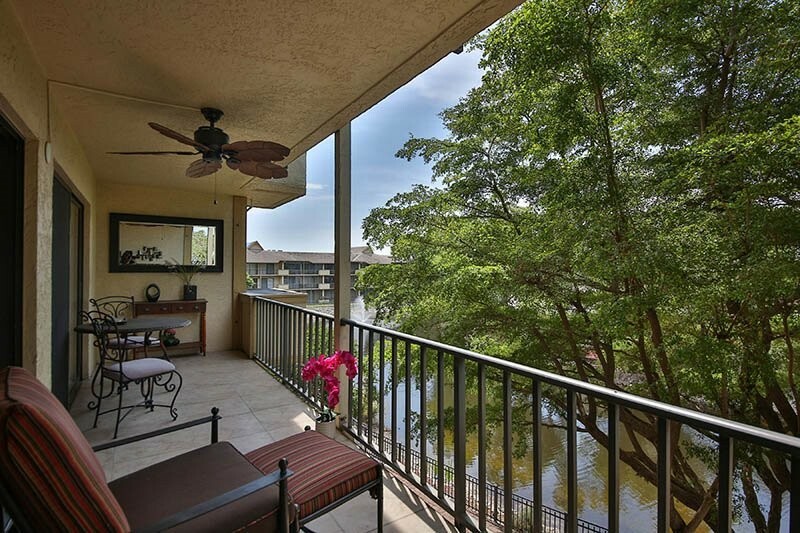 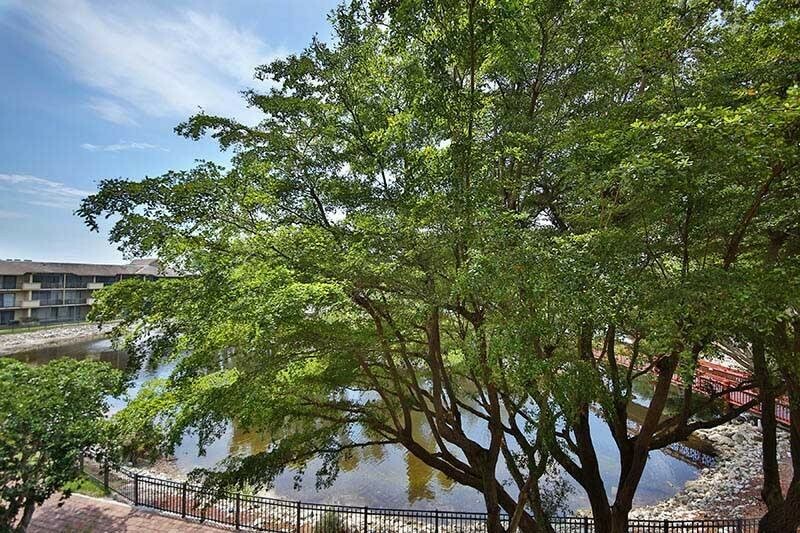 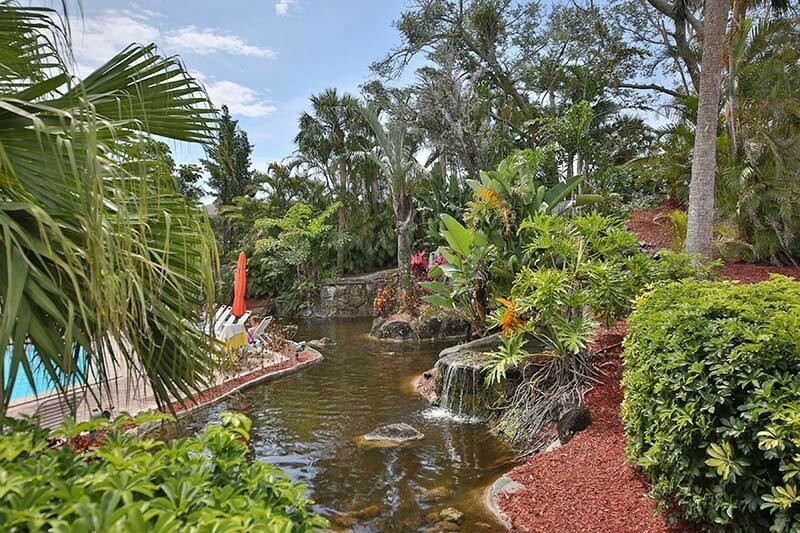 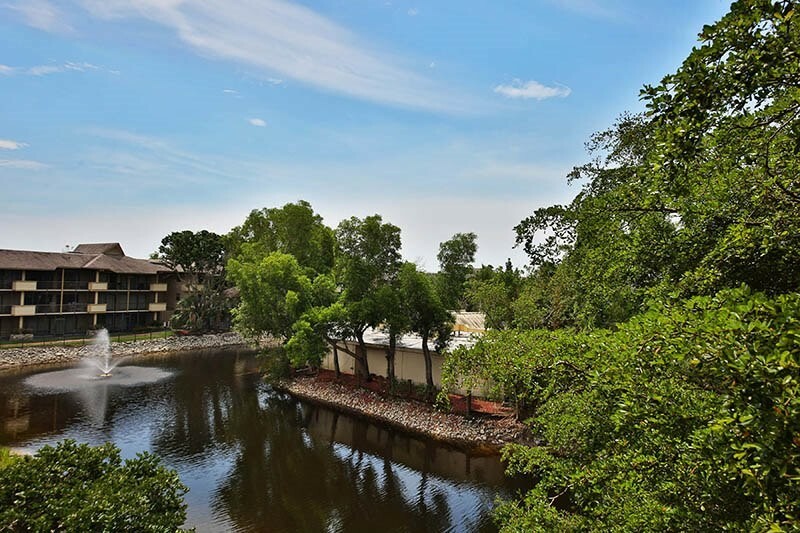 This large brightly decorated 1 bedroom, 2 bath, 3rd floor unit has a water view, great for bird, fish and turtle watching! 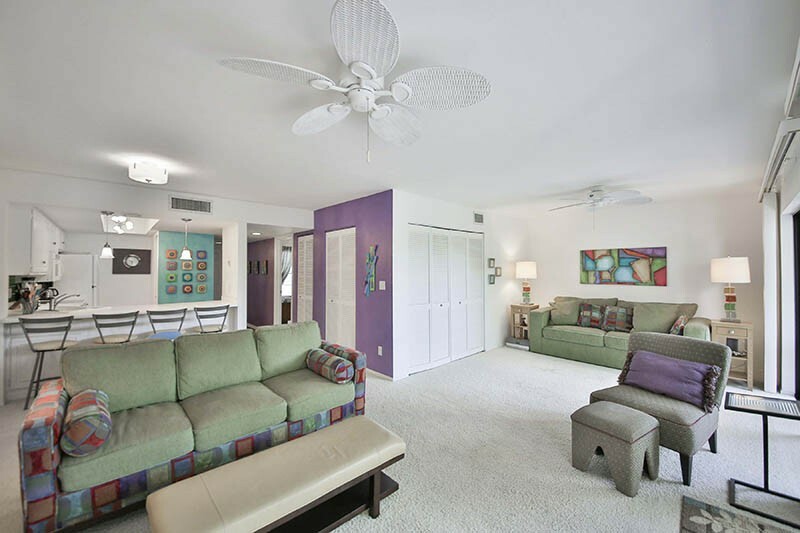 The living room is south facing with great light from the large open balcony. 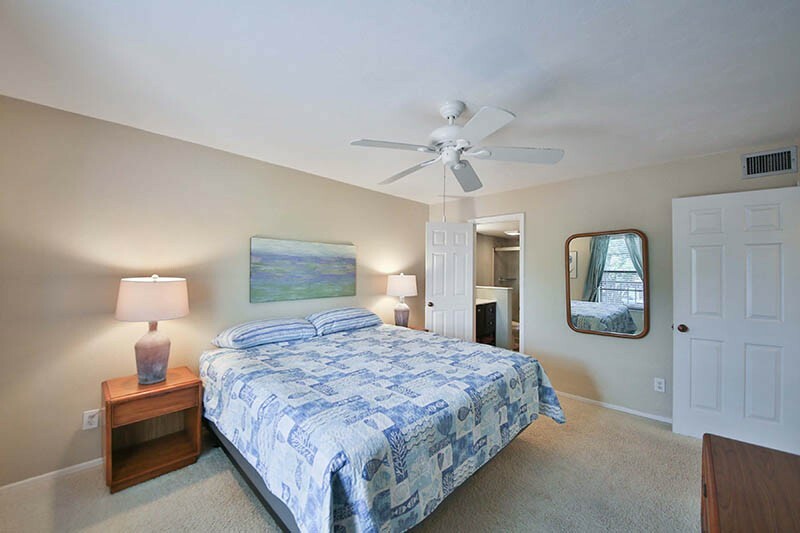 The bedroom has a new king size bed with ensuite bathroom. 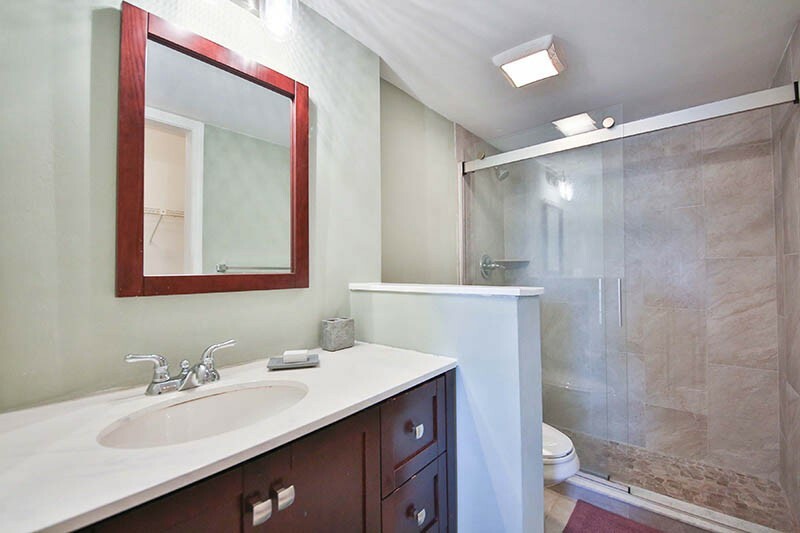 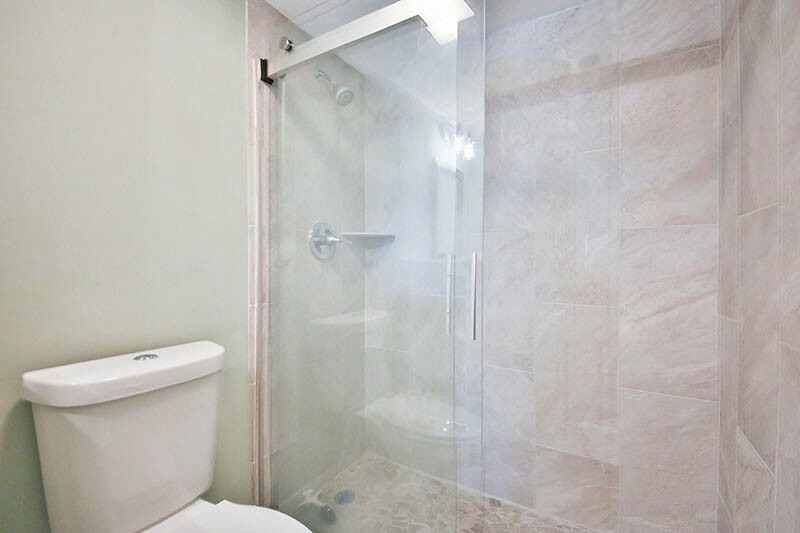 There is also a 2nd full bathroom off the entry hall. 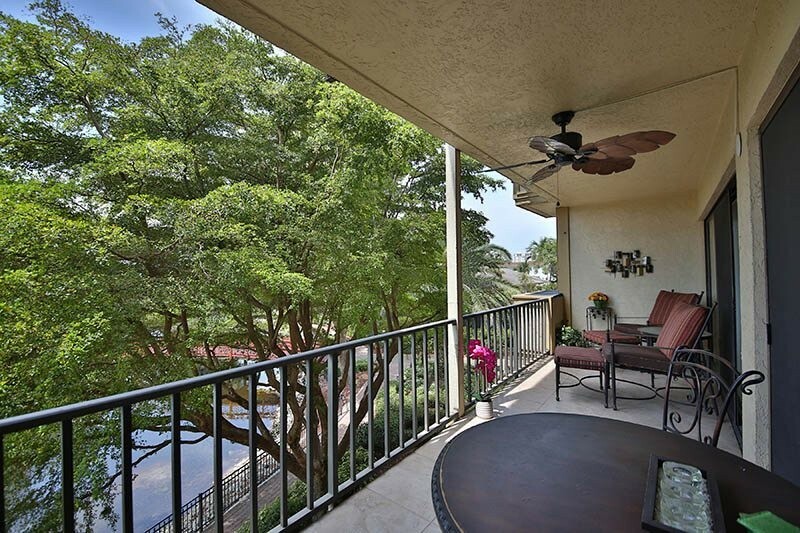 A fully equipped kitchen with eat on counter space makes this condo a perfect place to enjoy Naples living. 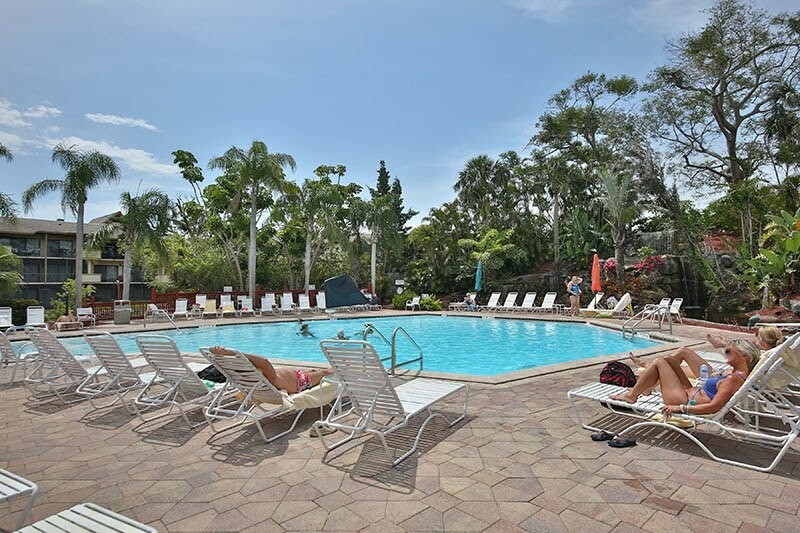 The resort has an on-site restaurant and bar, walking paths, BBQ area, sun deck, large waterfalls next to the pool, racquet ball courts, fitness center, 24 hour concierge desk, wifi, computers, tennis courts and new pickle ball court with equipment available at the front desk. 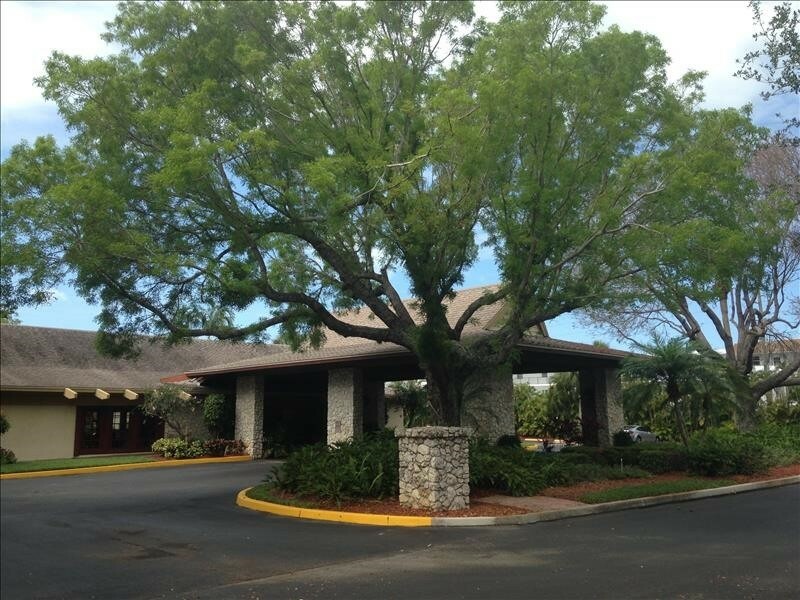 Guests are required to check in at the front desk at the Resort upon arrival to get electronic key for amenity access and to obtain a parking pass. 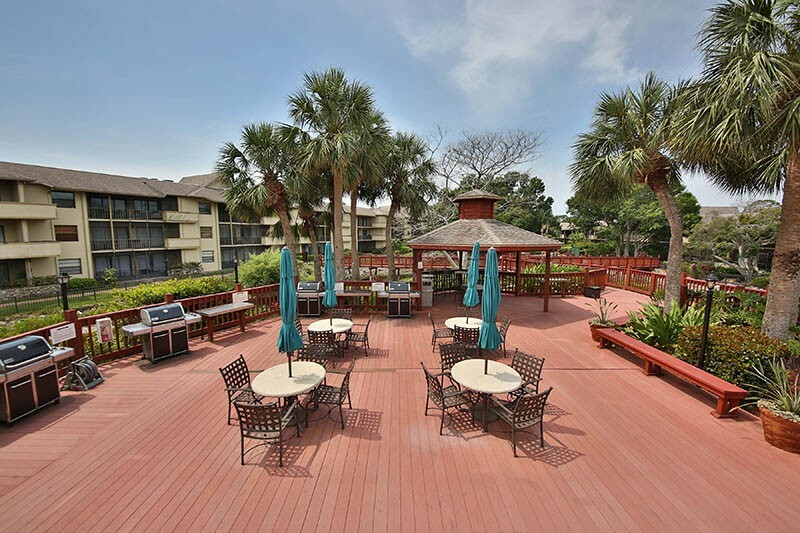 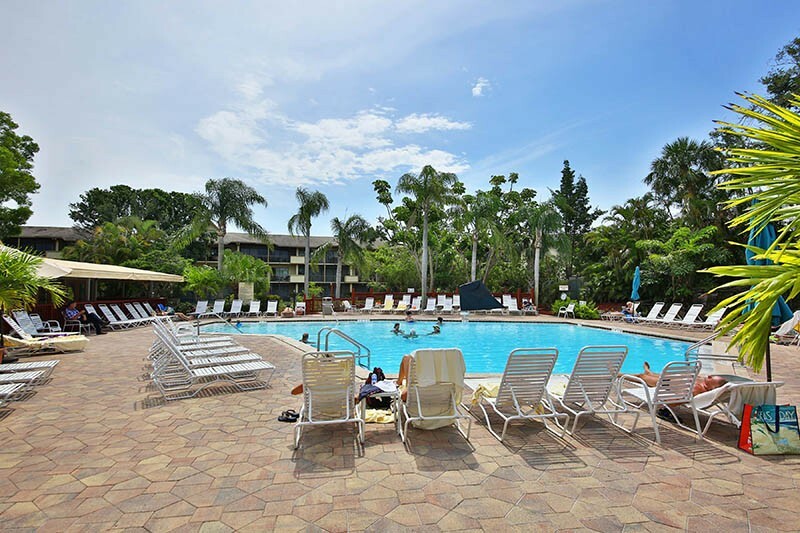 Parkshore Resort is located within walking distance to Fresh Market, Publix and many restaurants, shops and the beach is only about 1.25 mile away. 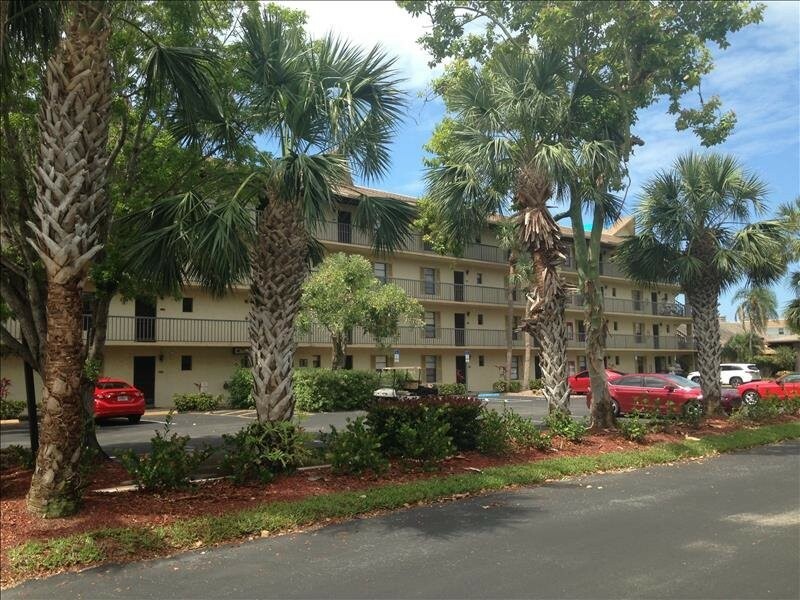 Please contact me with information regarding Park Shore Resort 357.